Through her work, Kareena Zerefos aims to examine the polarities of isolation and connection; truth and falsehood; and history and mythology, typically through portraiture and symbolism. 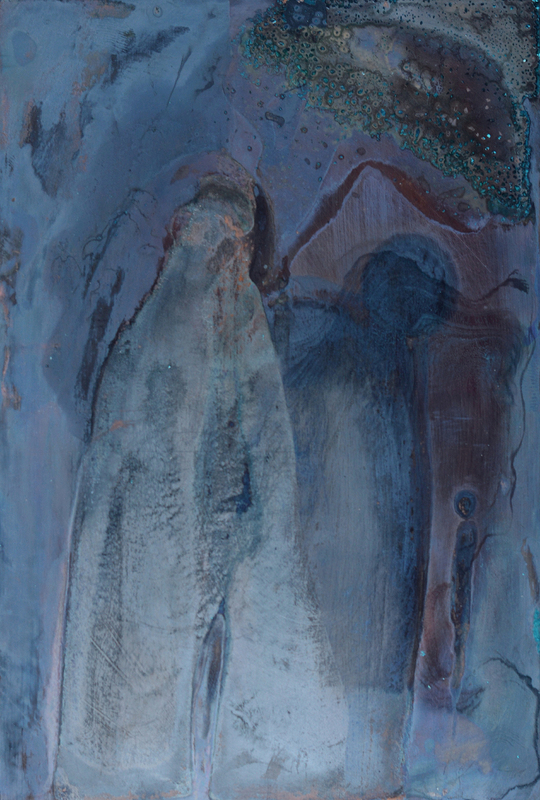 Moving away from her usual practice of illustrative, mixed media work on paper, Kareena has predominantly been working with copper sheet and oxidising processes to favour materiality over representation. Composing a series of portraits that explore the notions of the 'icon' and the 'archetype,' Kareena addresses the vulnerabilities and insecurities of womanhood, motherhood and creativity within a contemporary post-feminist context. Kareena has adopted personal, alchemical and ambiguous references, departing from use of familiar emblems in historical symbols or iconography. 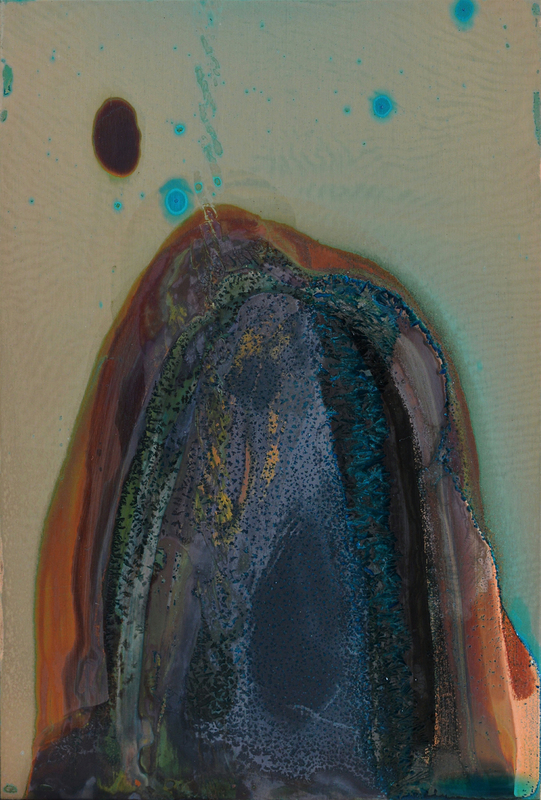 This has allowed a fluidity and spontaneity in her work. Scale and texture have also been important in emphasising intimacy and privacy, and to emanate the perception of delicacy, purity, connection and the Feminine essence.